In the past, I always noticed a jump in our food budget over the winter months. You’d think that the summer with its frequent BBQs and outdoor game nights would put a more significant dent in the budget, but I’ve noticed the opposite. In the summer, we get a lot of food right from the garden. Fresh greens, squash, and beans all make up a large portion of our dinner plates. Produce is in season, too, so even when we visit the grocery store, farmer’s market, or sign up for a CSA, we’re not overpaying. In the winter, the cost of fresh produce at the grocery store increases and without cold frames (here’s hoping we can manage to build some for cheap this year!) we need to get creative with our food budget. Here are some tips that I’ve utilized that I’ve found have made a considerable dent in our food spending. Make a plan. Meal plan when you can. Carve out some time during the week or weekend to plan for the week (or weeks) ahead. Write down staple dishes. I use a Google Sheet to write down regular dishes that can be customized depending on the ingredients we have on hand. Each entry is numbered so when meal planning, I use a random number generator and the picking is done for me. It helps with decision fatigue. Examples: tacos, protein salad, soup, etc. Stock your pantry. Having a well-stocked pantry before the winter months will help immensely. You won’t have to spend on new spices or other staples. Keep your pantry and fridge organized. You’ll waste less if you can see everything that you have on hand. Use clear containers in your pantry so you can easily spot what’s running low. Being able to view your pantry’s contents will help with meal planning, too. Buy meat on sale. If you are a meat eater, buy extra when it’s on sale and freeze in portions. Have a backup plan. I have chronic migraines. So sometimes, I’m entirely out of commission. I can’t get up from my dark cocoon let alone chop up veggies for dinner. On those days, it becomes tempting to order out. I try to budget for these instances. Another alternative is to have easy to make stuff on hand that’s for these special moments. Frozen pizza, canned soup, etc. Do what works for you. I like to meal plan, but I hate meal prepping. So I don’t ever waste time prepping weekly portions of food. I’ve tried it, and it just isn’t my cup of tea. Do you prefer to shop weekly? Bi-weekly? Monthly with mini trips for staples like milk? Go with what you prefer. If you do something you don’t like doing, you’re likely to ditch it and end up impulse spending at some point. Set aside money for groceries. Or use a budgeting app to keep track. Whatever your method, make sure you’re sticking to your budget and make a note of why you didn’t if you end up going over. Plan for events. Around the holidays, we always end up spending extra when hosting friends and family. That’s fine. We just make sure to keep it in check and spend less earlier in the month. Sign up for a CSA Basket. CSA stands for Community supported agriculture and it’s a wonderful way to support your local farmers. It also provides you with access to fresh locally grown produce. In my experience, signing up for a CSA has always been a great deal. We always end up with plenty more than we expected. This year, we were lucky enough to be involved with a winter CSA, and it’s been a delight. Many farms are also more than willing to work with individuals on a tighter budget. 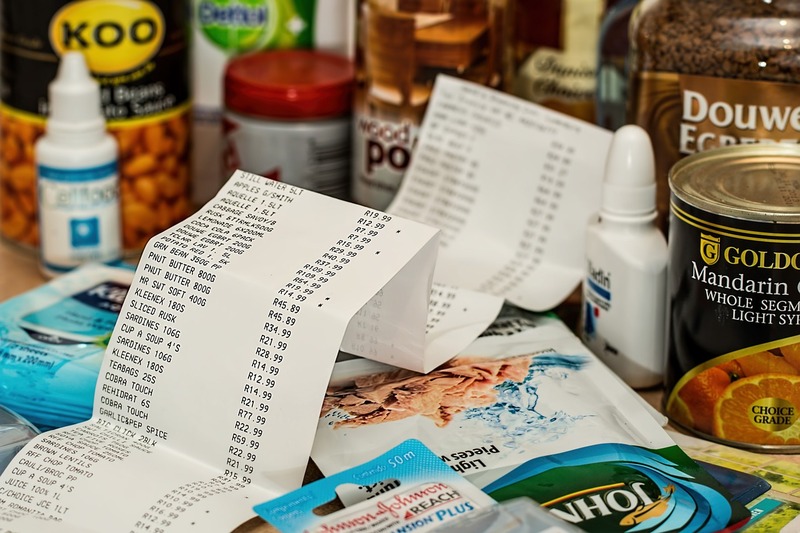 What are some of your must-follow food budgeting tips? I’d love to hear them. This weekend I’ll hopefully be carving out some time to re-organize my pantry. I’m hoping the finished project will be worth posting about, so stay tuned for that. I’ll be talking about how I organize my pantry, my must-have items, and where to find the best deals on organization tools for the pantry.